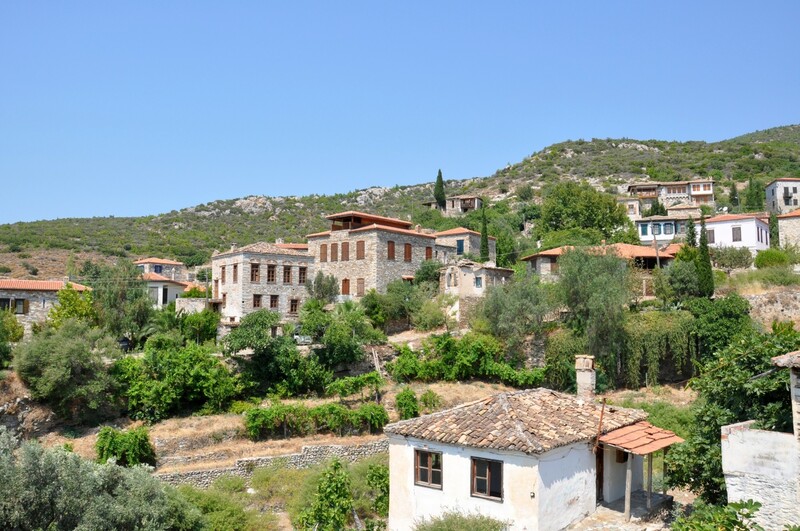 Many travellers certainly know the abandoned Greek village Kayaköy near Fethiye on the Lycian coast. 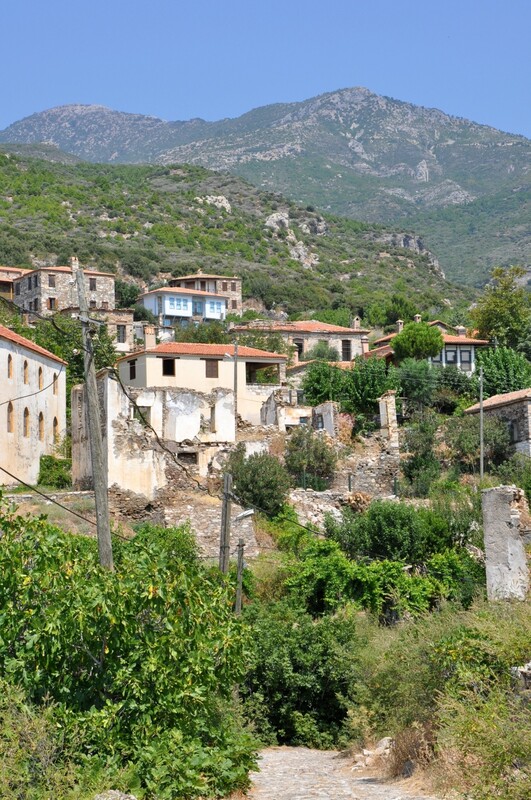 Its ruined houses evoke the memories of ancient Greek inhabitants of Turkey. However, few people know that a very similar place exists on the Aegean coast, close to the renowned holiday resort of Kuşadası. 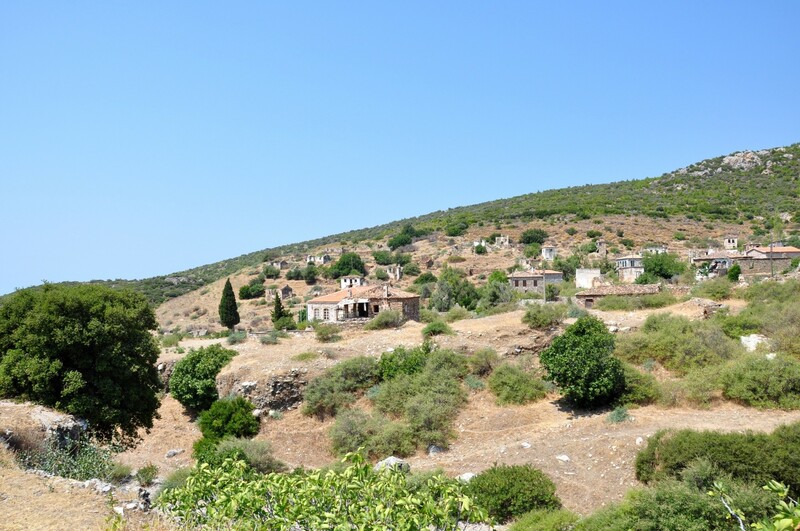 The settlement of Doğanbey is located in the area of the Dilek Peninsula-Büyük Menderes Delta National Park, on a hill on the southern side of the peninsula. 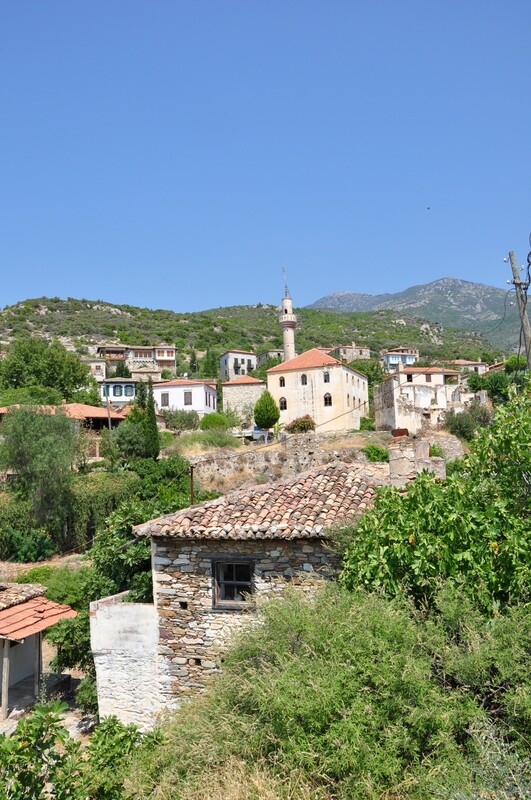 This old village was once inhabited by the Greek community and, until the population exchange between Greece in Turkey in 1924, was called Domatia. 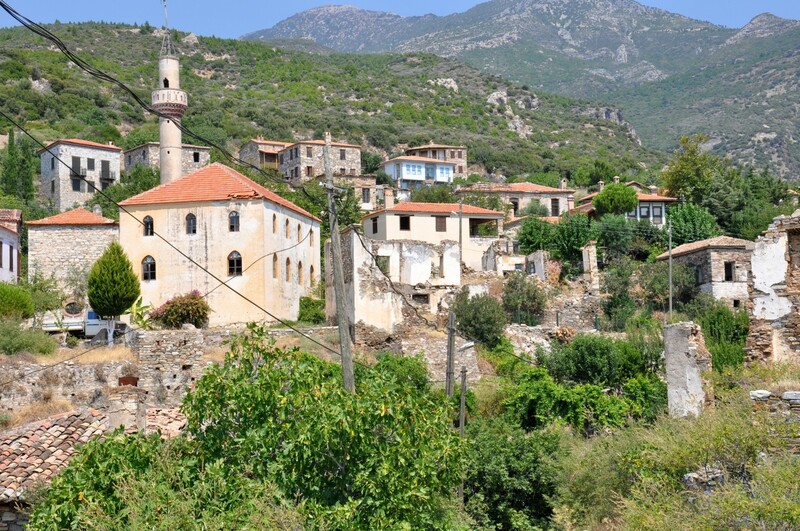 After 1924, Doğanbey was settled by the Turks, but in the 80s of the 20th century, they left the village in search of more modern conditions of life. Since then the village has remained uninhabited. As a result, it managed to retain its original character and old buildings in the state from almost a hundred years ago. Some of the buildings have been restored and sold as holiday homes, but many old houses are still falling into disrepair. Currently, Doğanbey is a village-museum, where you can admire the beautiful examples of traditional architecture of the 19th and early 20th century. Among the old houses, there are also a historic church and a chapel. The village is divided by a deep ravine where the stream flows. Its noise and the chirping of birds are often the only sounds that can be heard in Doğanbey, especially outside the summer season. Old stone houses create a beautiful view and a unique atmosphere filled with nostalgia. The hill where Doğanbey is situated offers the scenic views of the Büyük Menderes River delta and the Aegean Sea. In Doğanbey, apart from looking at old buildings, you can also visit the Information Centre, created especially for the guests of this remarkable open-air museum. The building, which houses the centre, in the 19th century served as a hospital and later was turned into a school. 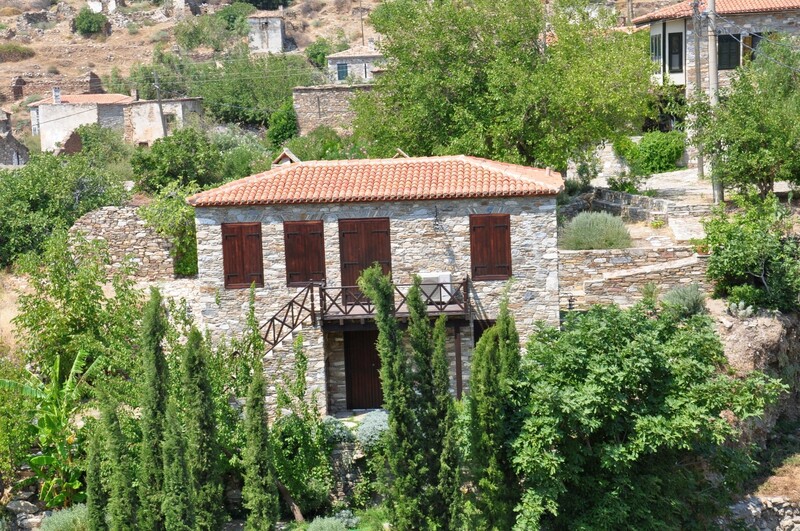 After the resettlement of the Greeks, it fell into disrepair and was restored only in 2001. In the Information Centre, there is an exhibition hall, a computer room, and a library. The guests can take part in meetings, slide shows and watch the birds inhabiting the Büyük Menderes River Delta through a telescope. The Information Centre is open daily, from 8:30 am to 6:00 pm. Admission to the village is possible at all times, and it is not necessary to pay for the entrance. 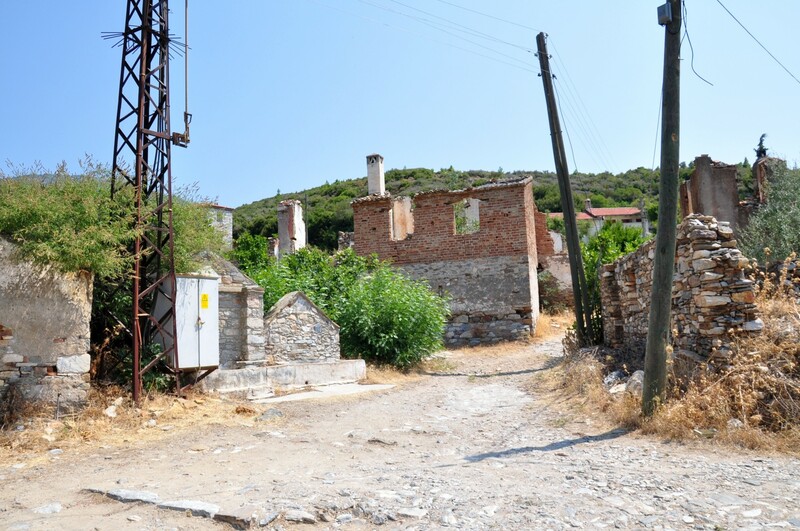 Since the 90s of the 20th century, further renovation of houses in Doğanbey has been taking place. 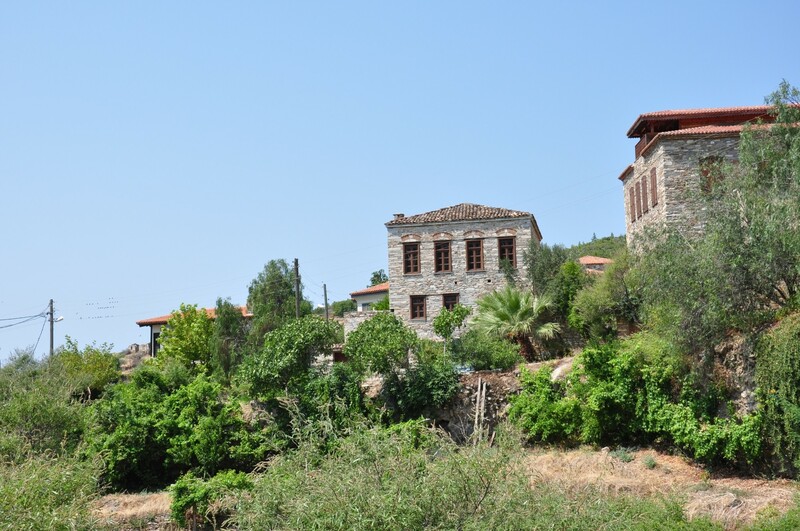 Currently, some of the traditional stone houses have been transformed into apartments for rent, so the lovers of peace and quiet can even spend the night in Doğanbey. 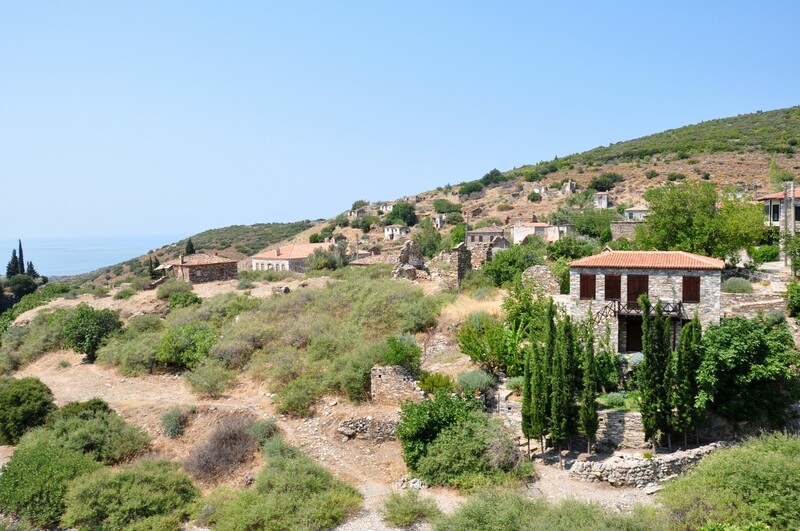 A visit in Doğanbey can be combined with a trip to the ancient city of Priene, the ruins of which are located on the route leading from Söke to Doğanbey. A little further to the west of Doganbey is Karine, a fishing village, where you can enjoy a meal at a fish restaurant. 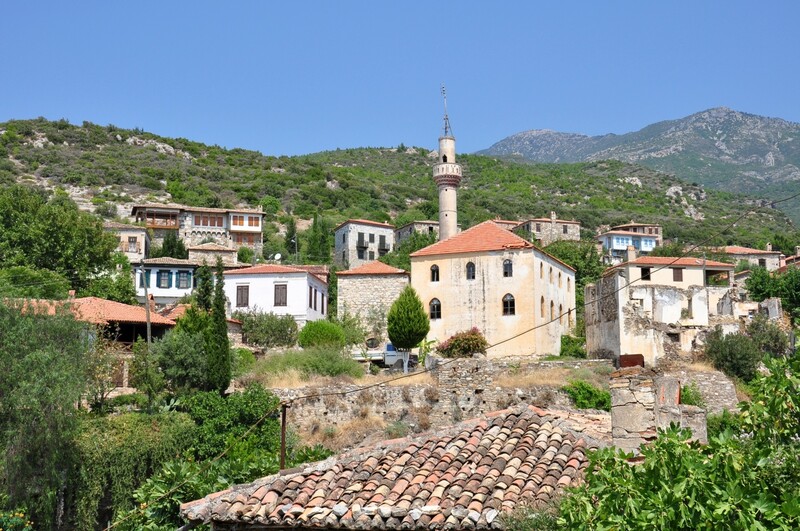 By car: the easiest way to get to Doğanbey (also known as Eski Doğanbey) is by car. From the main road in the region, i.e. İzmir-Aydın highway, you need to turn off in Germencik and drive in the direction of Söke. 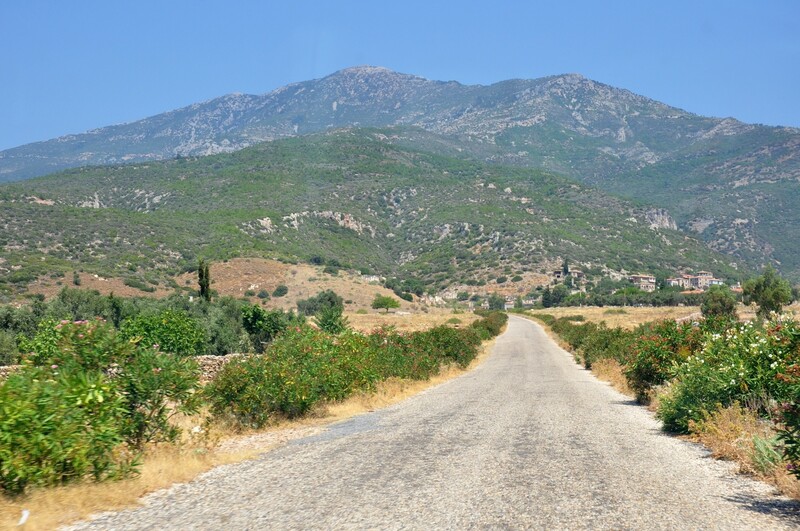 From Söke to Doğanbey there is a straight road taking you in a south-westerly direction (29 km). To get to the centre of the village turn off to the right (to the north) from the main road and drive uphill. By minibus: reportedly there are some minibuses from Söke to Doğanbey, but their schedule is irregular so be prepared to take a taxi to get back.